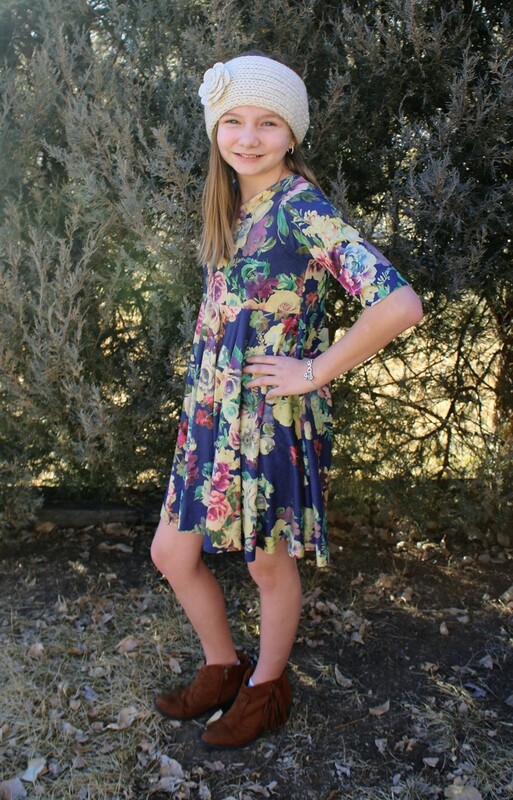 The Tanna Dress is an adorable faux wrap knit dress with the perfect feminine touches! 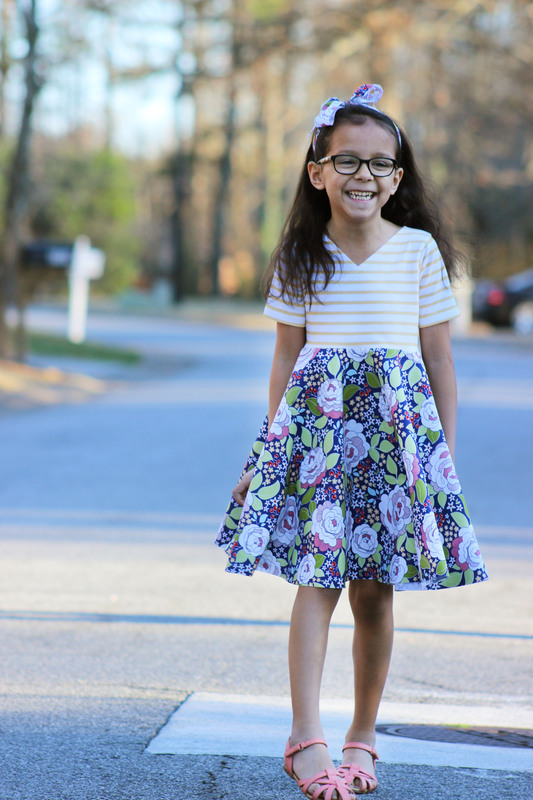 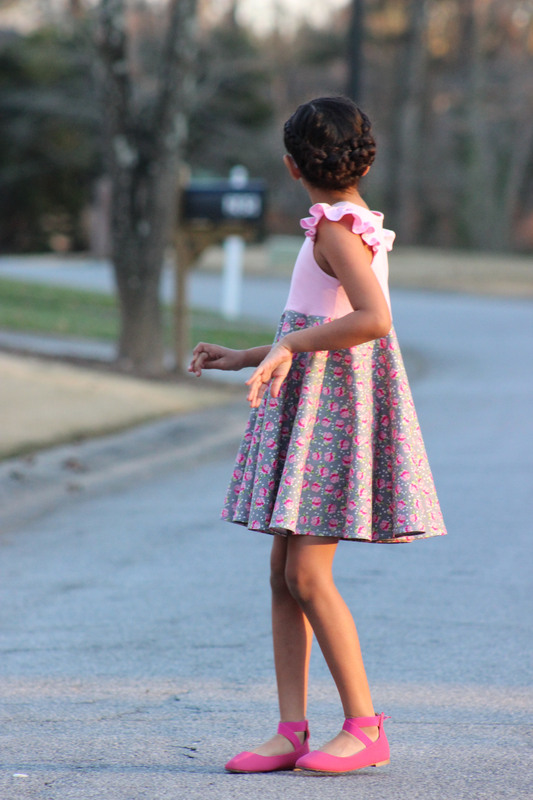 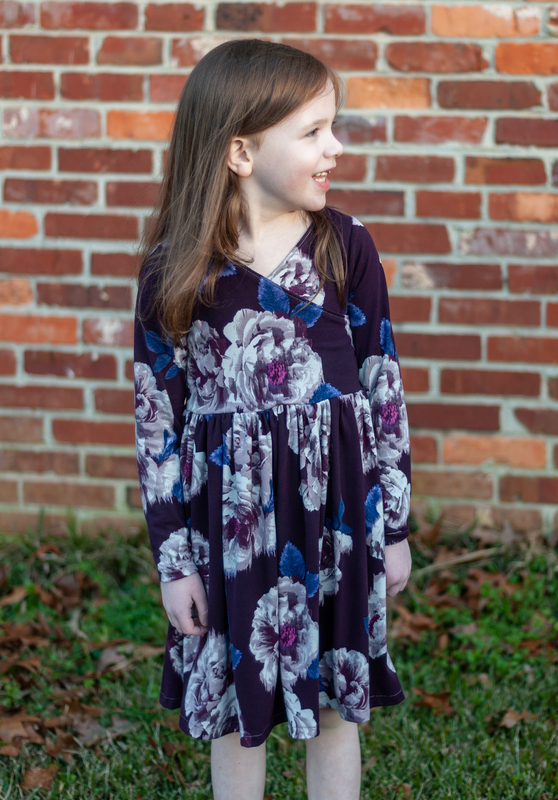 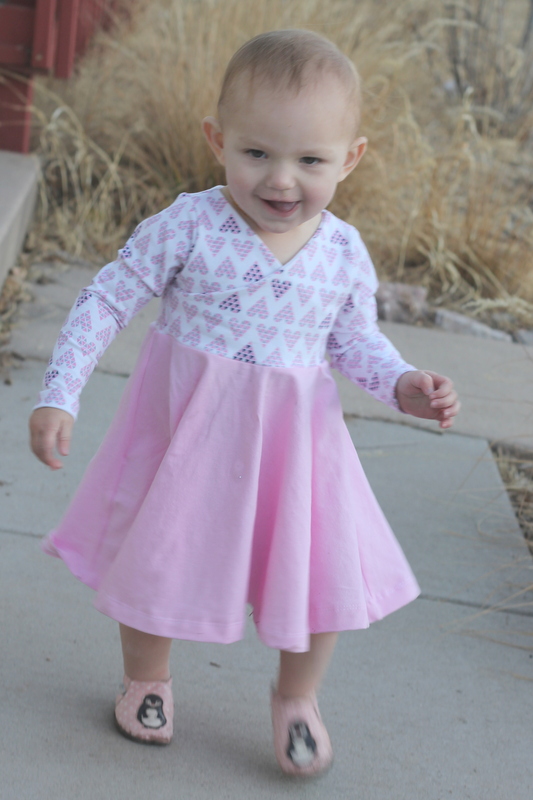 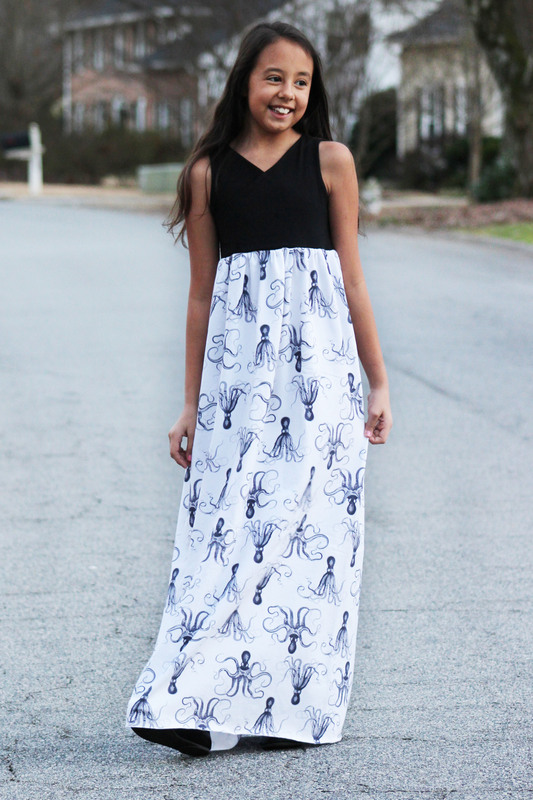 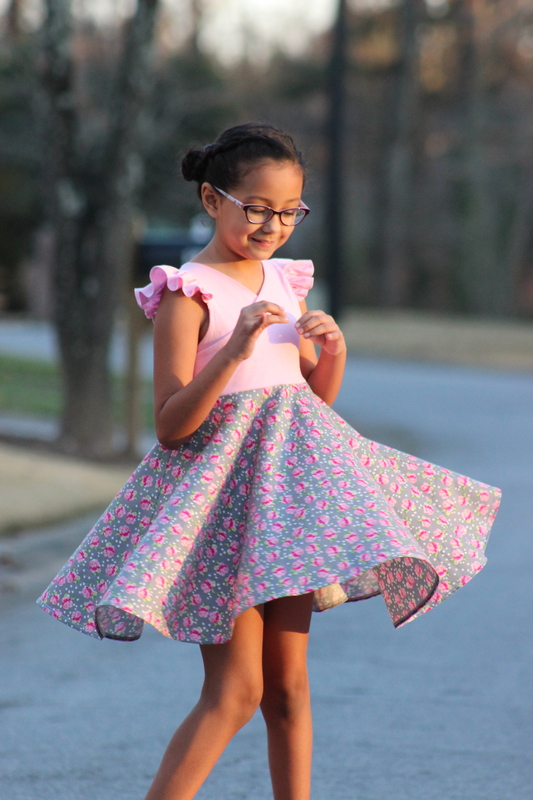 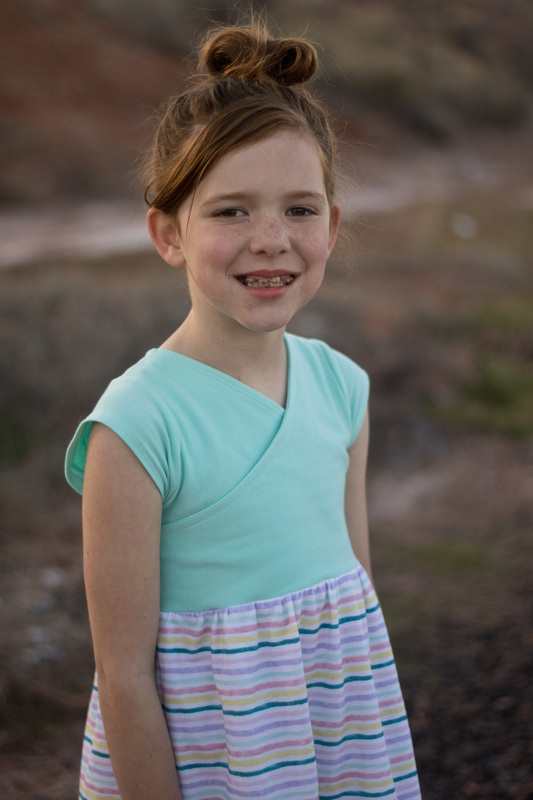 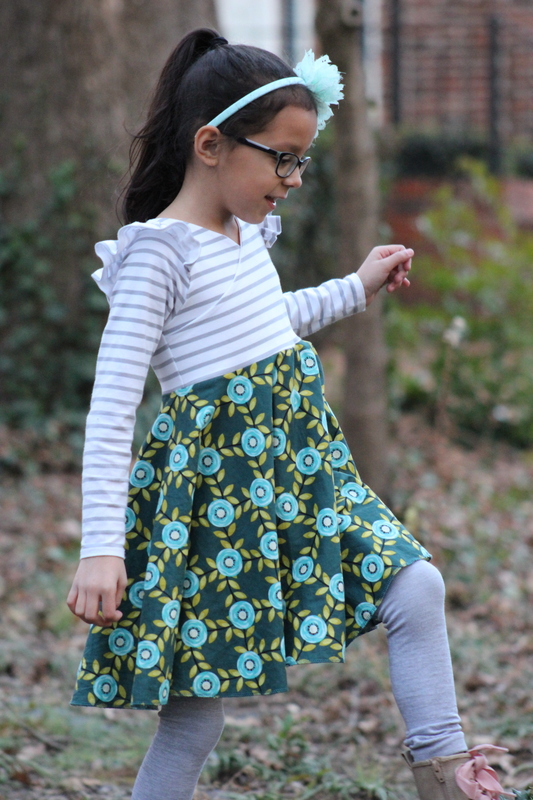 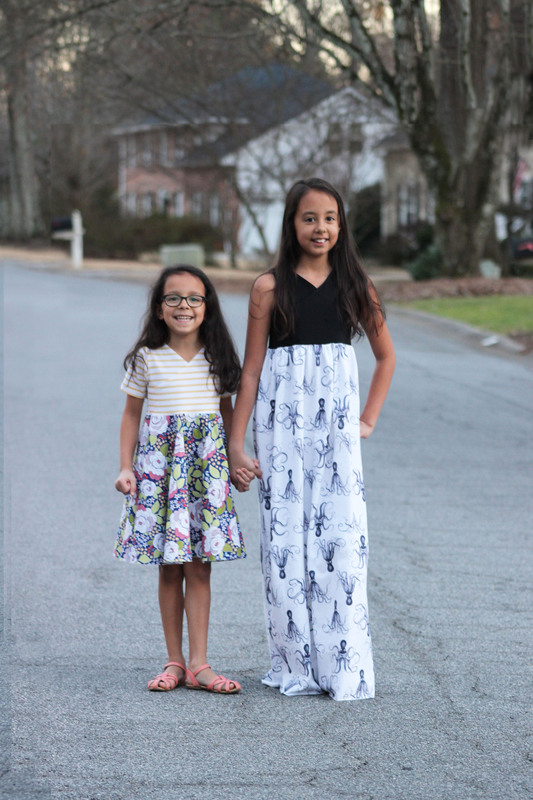 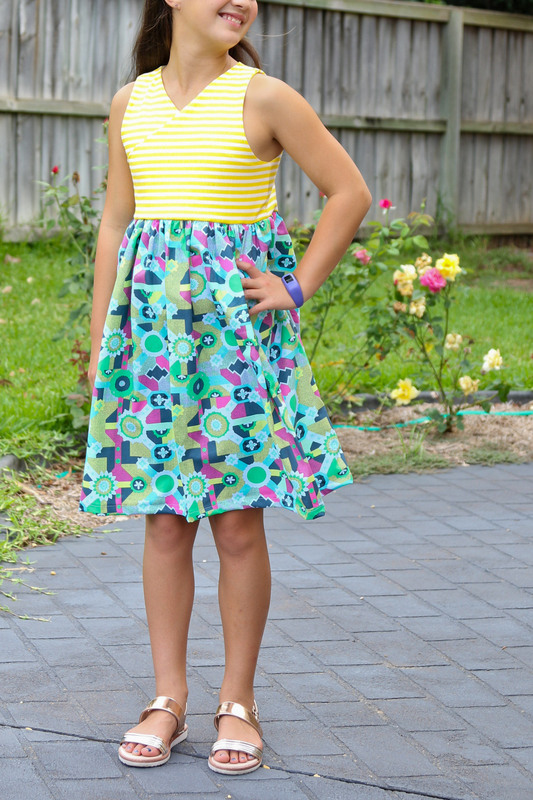 Choose from seven different sleeve and three different skirt options to create the perfect dress for your girl! 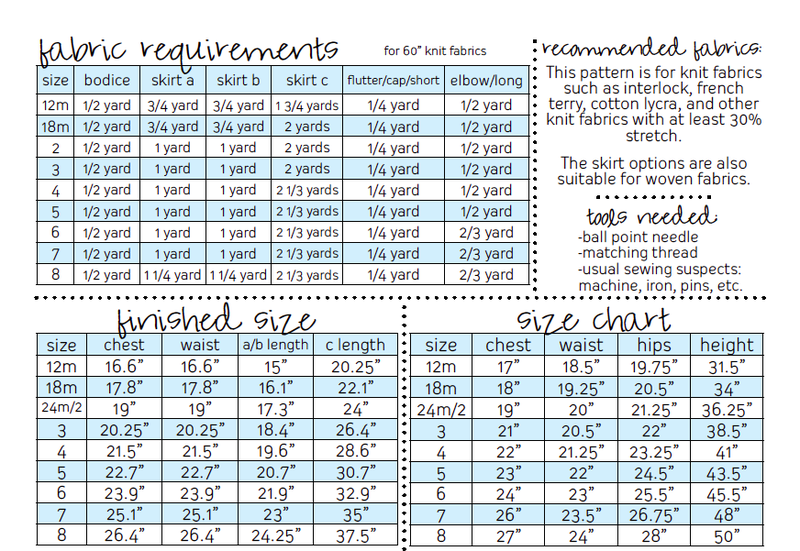 The skirt has the added bonus of working with woven fabrics so the options are truly limited by only your imagination. 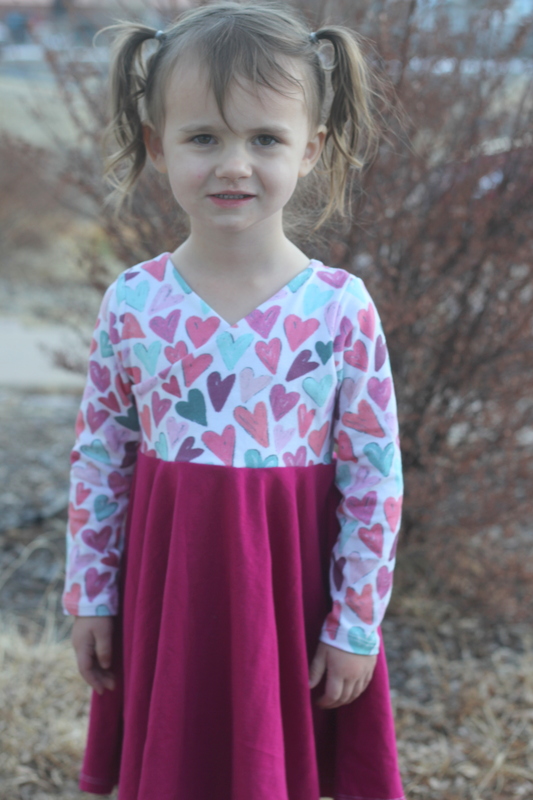 Whether she likes it twirly or maxi, flutter or long, there’s something here for everyone to love! 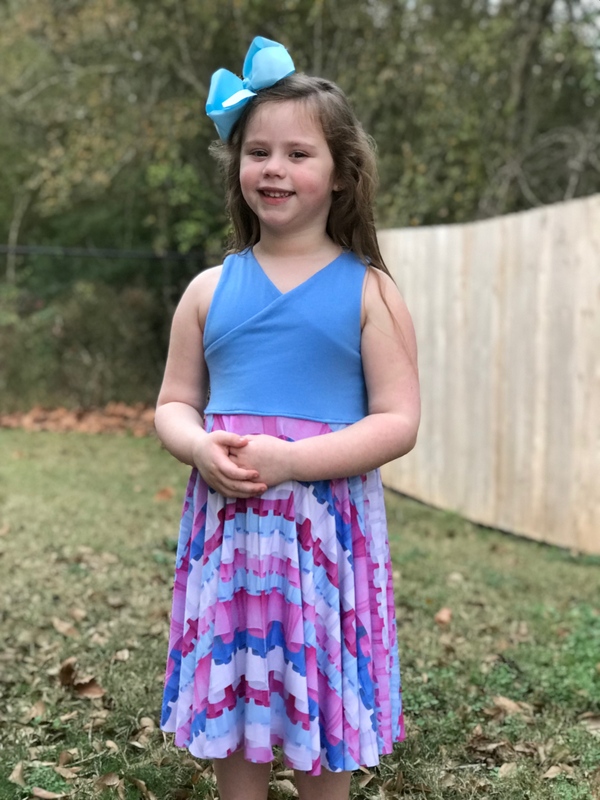 Sleeve options include sleeveless, flutters, cap, short, elbow, long, or match the flutter with any of the existing sleeves for that extra touch! 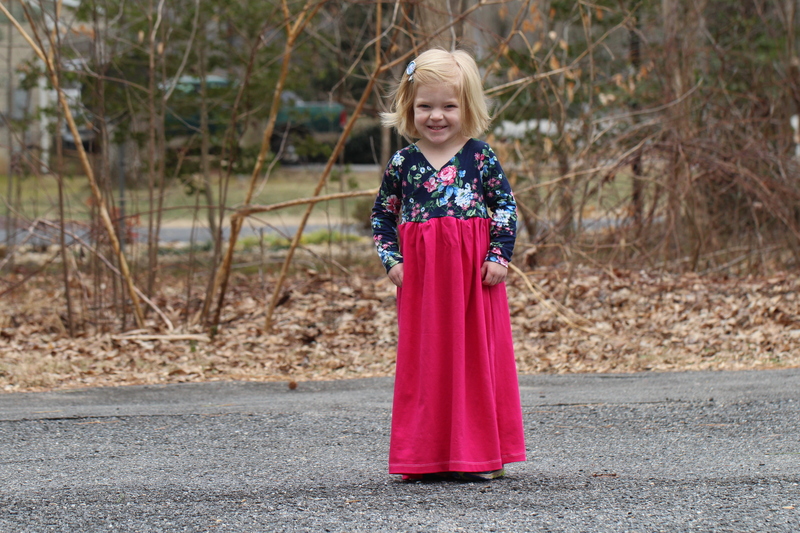 Then choose from circle, gathered, or maxi skirts for dress perfection! 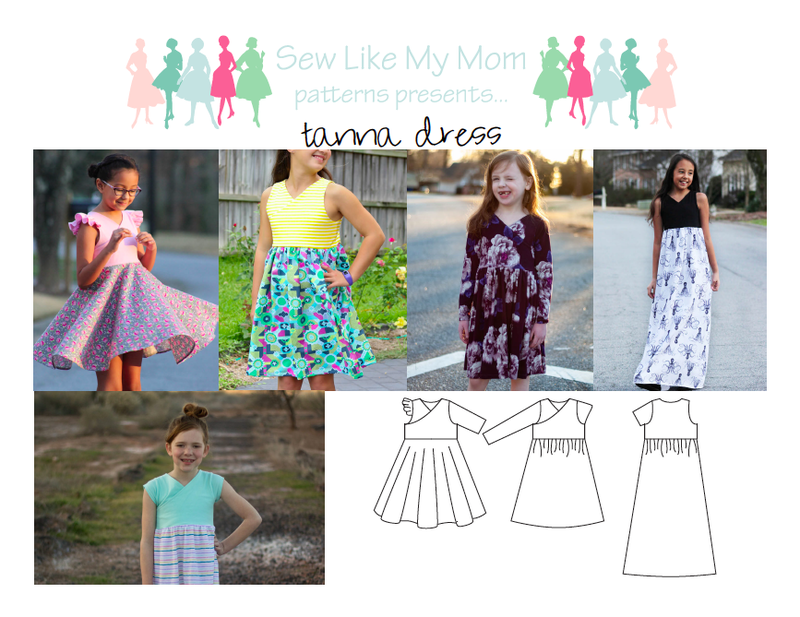 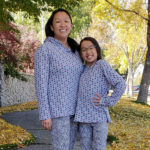 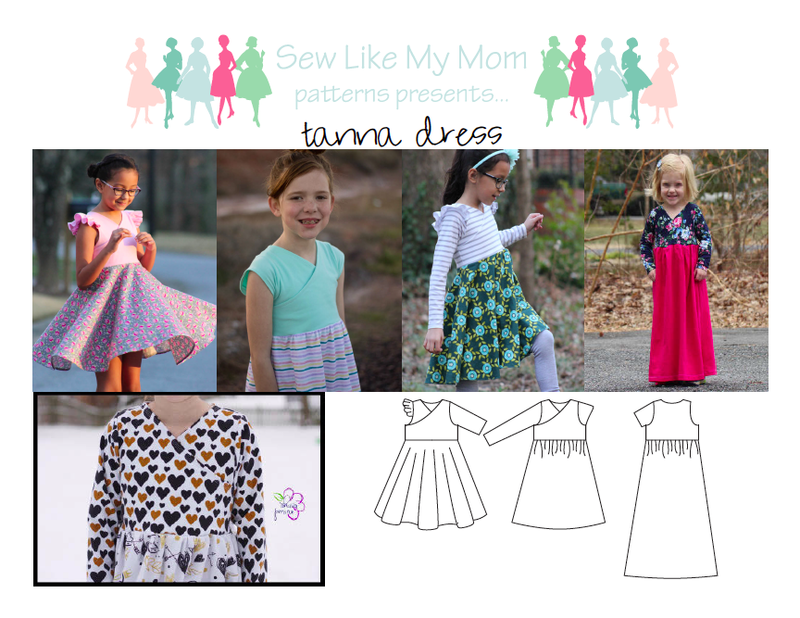 This PDF pattern features 74 pages of color photos and detailed instructions for sewists of all skill levels. 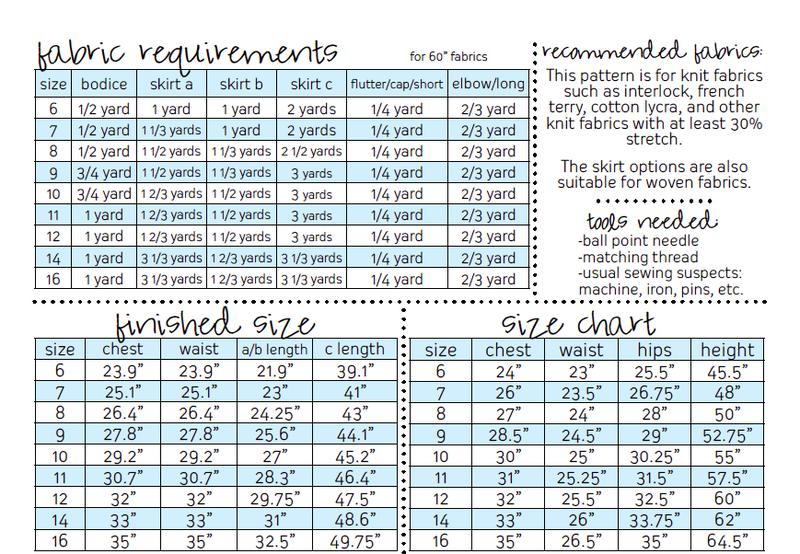 15 sizes are included, from 12m to 16.